This package is a boat run special. 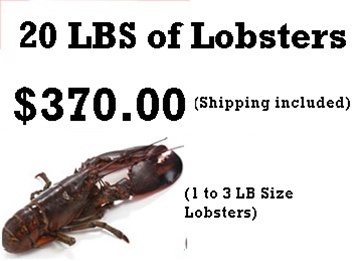 Any combination of Lobsters from our catch equalling 20 LBs, at a special price of $370.00 Shipping Cost included. A great deal if you don't mind the size.